With Studio 5 Salon & Spa’s wide selection of I-Tip Hair Extensions, every strand of your hair will be enhanced with 360-degree movement. You might not know what to do with your hair’s volume, length and versatility. That’s okay. Wear it up or down, the beads are easy to hide–especially since they come in five fabulous colors. I-Tip installation is a snap! Microbeads are clamped to securely hold each hair extension strand in place. That means your hair can be long and full without the worry of slippage. In the sporadic case of slippage, the I-Tip Extensions can be tightened or reinstalled in a matter of seconds. This amazing method has absolutely no chemicals, no glue and no heat. This means little-to-no damage to your own naturally growing hair. 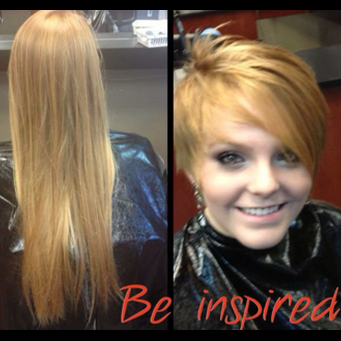 I-Tip Extensions generally take 60-90 minutes to install but thicker looks may take up to 2 hours. Your natural hair is threaded through a small bead. The I-Tip Extension is then inserted and the bead is clamped-and-closed around your own hair and the I-Tip Extension. This process is repeated until the desired look is achieved. As your hair grows you will notice the bead and extension will gradually get further away from the scalp. 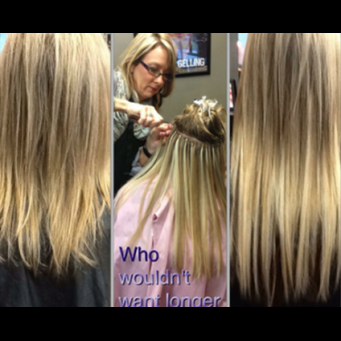 Because of new growth and possible slippage it is recommended that you have your extensions “tightened” every 4-6 weeks. Shampoo and condition your hair as you normally would, although sulfate-free shampoo and conditioner are suggested. Coloring and lightening your hair extensions is not suggested and can compromise the integrity of the hair, shortening its longevity. You may choose to use a loop brush specially made for hair extensions. This is suggested. When brushing, brush from end to root, gradually working your way up in short strokes. This method aids in less breakage when working out tangles. You may still use your desired products on the extensions. Heat styling is fine but it is suggested to keep it minimal. Remember this is real human hair. If it can damage your own naturally growing hair, then it can damage your extensions (and may result in having to replace them sooner). It is best to sleep with your hair in a loose braid to prevent tangles and breakage. 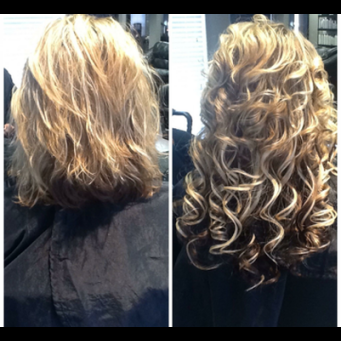 For more information on home care for your hair extensions, please consult with your stylist.